Attitude adjustment: The Super Stander is adjustable from 0 to 90 degrees. Using a supine stander promotes healthy bone and muscle development, improved blood flow, and provides important emotional benefits for children with disabilities. For children and adults who cannot stand or walk on their own, a supine stander provides important physical and emotional benefits. By giving vertical support, standers promote muscle and bone development, proper organ function, blood flow, and enhanced emotional wellbeing. "If you can't stand and bear weight, our bodies don't work as they are supposed to," says Stasia Tapley, director of clinical education for the Doctor of Physical Therapy program at Indiana State University. Working through the Rose-Hulman Department of Biology and Biomedical Engineering, Tapley commissioned a team of biomedical engineering students to make a low-cost, aesthetically appealing stander for use by area kids. The Super Stander was the result. At about $900, it costs about a third of the retail price of a conventional stander. And its bright Superman and Supergirl coloring makes it appealing to kids. 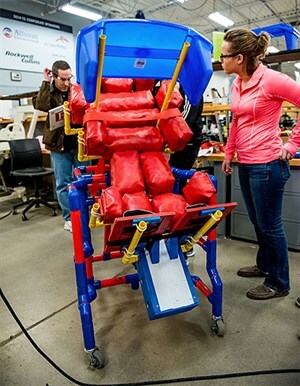 "Current devices can be scary looking," says Chloe LaVelle, who designed and built the Super Stander with fellow biomedical engineering students Tyler Iliovici, Brent Kamer and Tyler Newman. It was one of 10 senior capstone design projects completed by biomedical engineering students this spring. Tapley plans to give the Super Stander to Terre Haute-area schools, which struggle to afford conventional standers. The device is easily portable, so could be shared among facilities. If more standers are created, she'd like to see one in every school in the community. The Super Stander is made mostly of wood and PVC piping, and elevates a child from 0 to 90 degrees. Its vinyl cushions are adjustable to a child's height and weight, and can be easily removed and cleaned. 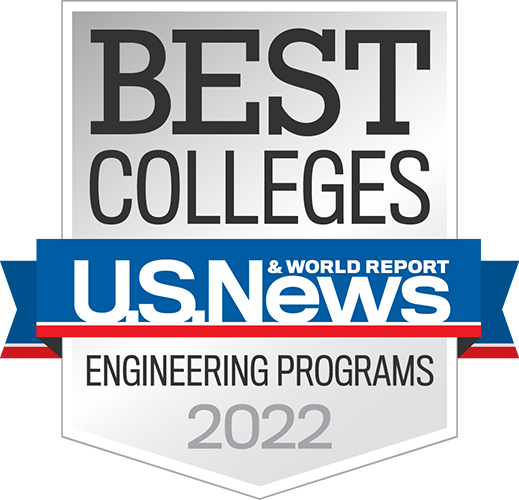 Knowing their project will help kids "made it easy to be motivated and made the late nights worth it," says Kamer, who, with Iliovici, is majoring in mechanical engineering. Tapley says she is pleased with the result of the project and is anxious to see it helping children with physical disabilities. That also excites the project team. "You get a sense of confidence," Newman says. "We can see our educations put into practice. We have something we can call our own that's being used in the real world."